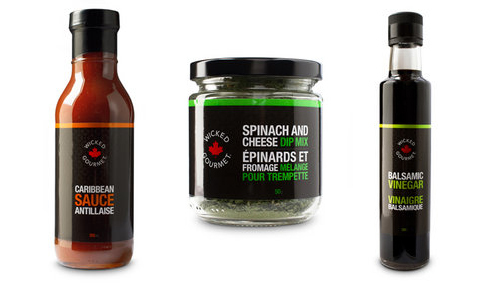 Wicked Gourmet was created in 1996 with the sole purpose of bringing a range of delicious gourmet products directly to the consumer. Our products are now available in retail stores. Our corporate philosophy is simple "you don't know how good our product is until you taste it!" With our inspirational products you have meal-making magic for every occasion. There are endless ideas for transforming meat, chicken, pork, seafood, tofu, veggies and more into "Feasts of Flavour". Go ahead, indulge yourself! Explore. When you're done contact us and treat yourself to the most incredible taste sensations you've ever experienced.